Thanks so much for visiting Destination Amish, Wanda! Can you tell us about your new book, The Hope Jar? Which character in your new release is your favorite? Why? Mary Ruth was one of my favorite characters in The Hope Jar. She is a gracious Amish woman, full of love and wisdom, like so many of my Amish friends are. Even in the face of adversity, Mary Ruth Lapp is compassionate and loving towards others. Do you have a favorite scene or quote from The Hope Jar? One of my favorite scenes is in chapter 3, when Michelle enters the Lapps’ home and realizes that the simple way they live is a lot different than what she is used to. A favorite quote from the book was a prayer found on a note in the jar Michelle discovered in the barn: “Dear Lord. You forgive my sins and give me hope.” Hope was something Michelle desperately needed. Tell us about your writing process and how you came up with the idea of a hope jar (love this!). The idea of hidden prayer jars was suggested by my editor. I liked the concept and soon came up with a 3-book series. Each of the books involves a different, but connecting, character who finds hope, forgiveness and healing from the messages she discovers inside one or more of the hidden jars. What is the message you want readers to take away from reading The Hope Jar? I would like for my readers to come away with a feeling of hope, knowing that no matter what happened in their past, or what they might be dealing with now, they can find hope and healing through God’s love, as well as the love and nurturing of people, like Willis and Mary Ruth Lapp. Can you tell us anything about your upcoming books? I am currently working on an Amish-themed novella that will be in a collection with a novella written by my daughter-in-law, Jean, and one by my granddaughter, Richelle. The novella collection will release in June 2019. I will soon be working on Book 3 in my Prayer Jars series. The title is The Healing Jar, and it will be published in August 2019. Book 2, The Forgiving Jar, comes out in February 2019. Readers can connect with me via my website at www.wandabrunstetter.com. I can also be found on Facebook, Twitter, Youtube, and Pinterest. 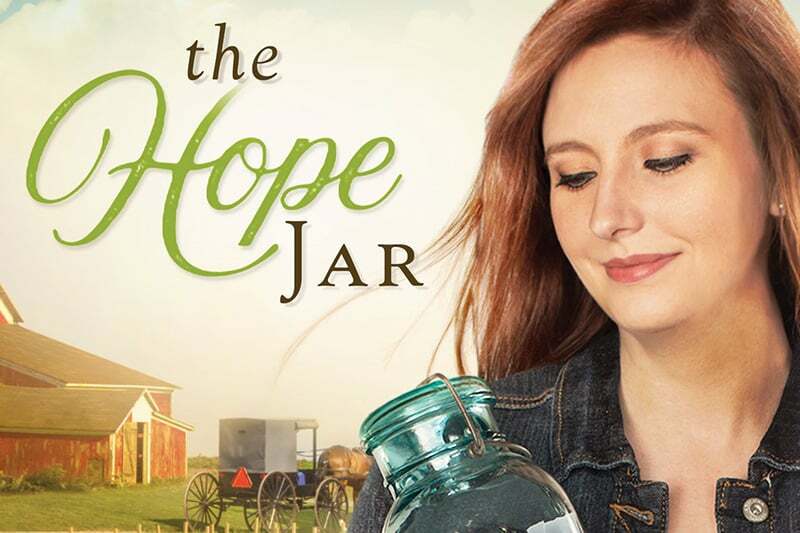 Fun news: Barbour Publishing is giving away a copy of The Hope Jar to one lucky reader! To enter, leave a comment below. Don’t forget to share this post with your friends! One winner will be selected at random and announced on Monday, August 27th. Giveaway starts today, Monday, August 20th and ends Monday, August 27th and is only open to US residents. Loved this interview with Wanda. Excellent author. Wpuld love to win a copy of The Hope Jar. I enjoy reading about the Amish and there simple life. Haven’t read the book, “The Hope Jar” yet. Anything written by “Wanda Brunstetter ” is always a treat and gives you hope. I love those old blue jars that my grandmother used for canning. I remember one time that I felt deep sadness yet I wanted to find a companion for my pet bird. I did find one and I named that new bird Hope for what I needed so bad. That is why the name of this book resonates so much with me! The Hope Jar is a wonderful well written book by Wanda Brunstetter. Good interview with Wanda. I would like to win a copy of The Hope Jar to give to my sister. Thank you for the opportunity to win.Have a good week. Have read all of Wanda Brunstetter books and enjoy them all. I have a few of the old blur jars that had been my mother’s. I would love to win a copy of The Hope Jar! Thanks so much for the insight into Wanda Brunsetter’s book, The Hope Jar. I love Amish books and would love to read this one. I truly enjoy all of Wanda Brunstetter’s works. Would truly enjoy winning a copy. I have been enjoying Wanda’s books for years and am so looking forward to reading “The Hope Jar”, thank you for the chance to win a copy. I am super excited to read The Hope Jar! Wanda Brunstetter is an amazing author! My Mom is 92, just recently entered the Nursing home, she has been a faithful reader of your books since The Shunning many years ago. Would love to win a copy of your new book for her ! I have read many of your books and really enjoy them. I am looking forward to reading The Hope Jar, too.. I really enjoy Wanda Brunstetter’s books and have a few, not sure how many. The new book, The Hope jar, sounds like a wonderful read and I would love to win a copy! I would love to read this book. It is funny that I came upon this today. My daughter is having a very bad family problem and I keep telling her we hope and pray everything will work out. What a great book this was! I really enjoyed reading it! Grest interview! Can’t wait to read the book. I am so looking forward to all of the upcoming books and novellas. I have a few of your books autographed and would love to see you again when you come to Canton, Ohio. Can’t wait to read the latest. Always look forward to new releases. I always enjoy Wanda’s books. I even got to meet her and had a picture taken with her. Would love to win this new book. It sounds so good. Please pick me for this wonderful book. I love Wanda’s books and would love to win this! I love the concept behind this book and series! I am looking forward to reading them! I love Any Thing Wanda Brunstetter write. And just read the interview about The Hope Jar. And it sure bring many memories of my growing up. I’m going to love the book!! Thank You For Your Interview! Great interview! I am a fan of Wanda’s books and would love to win this one! I am sharing this on facebook. Just received Hope jar! Cannot wait to start reading!! Love all Wanda Bruenstetter books! Just received Hope Jar cannot wait to start reading!! Love all your books! Would love to read The Hope Jar! I love all the books of yours I have read! Maybe I will win the book! Very much like the idea of a pretty blue hope jar. I have a similar one that really never gets seen, perhaps I should dig it out. Wonderful interview with Wanda. Can’t wait to read this book. This book, and the series, look wonderful! Your books are always on my list to purchase immediately – they are always enjoyable, compelling and wholesome! Thank you for sharing your gift with us, your readers. I would love to win this book, I have read most of Wanda’s book they are always very good. I live Wanda’S books. Can’t wait to read this one. She is my favorite Amish writer. I have read many of Wanda Bruenstetter’s books. I would definitely love to read this one. After reading this interview with Wanda, it comes to show how much love that people have in helping others to overcome either a positive or negative situation that has occurred in their lifetime. All you need is a little bit of hope in helping you to overcome that situation and gods love in leading you in the right direction. 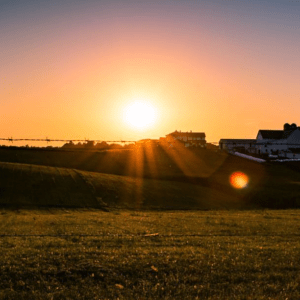 my first Amish books were a set of books by Wanda….about Ohio Amish sisters, I thought at first, why a set ? but after each book, I realized I didn’t want “it” to end….I love her books and this new one sounds very interesting and I am excited to read it….. 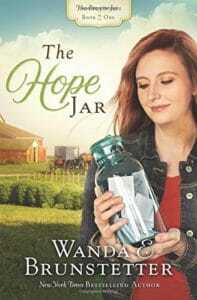 The interview was wonderful Love all of Wanda’s books would love to read The Hope Jar book! Thank you so much for the chance for this awesome giveaway hope to win! Thank you Wanda Love all your books would love to read The Hope Jar book ! I have been looking for this book. So far I haven’t. I go to wal mart and a book store here but so far no luck. I won’t give up! I love all your books. Amish fiction is my favorite genre to read and I would love to read Wanda’s new book, The Hope Jar. What a nice interview. This books sounds wonderful as all of Wanda’s books are. Have a blessed week. I only read Amish books, now, and enjoy their commitment to their faith & family. I realize that they are like most families with their own good times and some not-so-good. I marvel at their hard work ethic. I am looking forward to Wanda’s new book! Love reading Wanda’s Books. Looking forward to her new book. Good interview. I always look forward to reading Wanda’s books. Always inspirational for me. Cant what to have the chance to read this book. It would b e wonder full to have the chance to interview Wanda Brunstetter as i see her a great author. The Hope Jar was a very thought-provoking book. We all need hope no matter how old we are. We all crave love and a place of belonging and family. I can hardly wait for the next two books. Another great series Wanda and a good interview too! Wonderful interview. Look forward to reading this new book from Wanda. I have several blue jars that I use for storage/display. I am reading it now. I love anything written by Wanda I feel like I am part of the story. I am reading it now. Love everything Wanda writes I feel like I am part of the story. went IN SAM’S YESTERDAY WAS IN A HURRY AND SAW THE BOOK AND NEW I WANTED TO READ IT BUT DIDN’T PURCHASE WOULD BE GREAT TO WIN A BOOK. I LOVE ALL OF WANDA’S BOOKS. Happy times in going to Amish life through my reading adventures. Wonderful interview with Wanda Brunstetter about her Prayer Jars series. The message of hope in God is needed today, thank you for having this in your books. I look forward to reading this entire series. I enjoy reading Wanda Brunstetter ‘s books. They are so uplifting and a delight to read. I have not read this one. The books are so detailed about the Amish lifestyle, that I can tell a lot of research goes into each book. keep up the good work. Great interview and The Hope Jar sounds amazing. I love Wanda’s books and I am sure this one will be awesome too. Thanks for the chance to win a copy! I love reading Amish books and would absolutely love to win this! Wanda- I have read so many of your books and always looking for the new one to read!! The winner of The Hope Jar is Debbie Hazelton. Congratulations! Please watch your email for details on how to claim your book, Debbie. Thanks for entering, everyone! I think this might just be your best book yet! Can’t wait to read it!! Hi wanda.. I have tryed to get on your giverways and couldn,t fine where to go. Would really like to win a copy of The Hope Jar. I enjoy reading books written by Wanda.